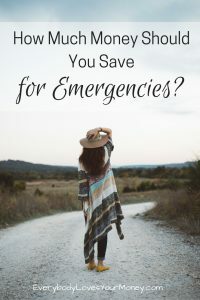 “How much should I save for emergencies?” That is a question I hear frequently in the personal finance world. There is no one-size-fits-all answer, but saving too little for emergencies is a dangerous risk you’d do well to avoid. Even the best and most disciplined financial gurus say so. In this article, I interviewed Emilie Burke, a personal finance, career, and wellness blogger at BurkeDoes.com. Not only has she personally triumphed in the areas of health and career, but after reading The Total Money Makeover by Dave Ramsey, Burke paid off more than $6,000 in debt and built a $5,000 emergency fund in less than 8 months! Today, she has a powerful lesson to share with us about maintaining a fund for the unexpected. It’s a lesson she learned the hard way, but she came through stronger, wiser, and ready to help other millennial women regain their footing in this area, too. ELYM: Thank you so much for agreeing to this interview today. You experienced some very challenging moments in a very short span of time. Could you walk us through what that was like and how it affected your emergency fund? EB: My first exposure to personal finance was Dave Ramsey, so I dove right in with a $1,000 emergency fund. That went well for around nine months. Then, my car broke down while my partner, Casey, was deployed for several weeks. Another car repair showed up and, in the span of six days, I spent almost $1,100. Fast forward a little and I was beginning to focus on rebuilding my emergency fund, but it can be really frustrating to hit “pause” then restart. I waited too long to replenish my fund, so I had around $200 or $300 when I started experiencing severe tooth pain. After seeing a specialist, I found out I would need emergency oral surgery. That was going to cost around $2,000. I had no choice but to put it on the credit card. Shortly after, my oil pan in my car cracked and I was forced to drive it without oil for two weeks while I figured out what to do. ELYM: How did that affect your plans for your emergency fund? EB: Since those emergencies, I’ve replenished my $1,000 fund and I’ve decided to go higher. My plan is to knock out a significant debt first, then build up the emergency fund to $4k. ELYM: If someone were to ask you how much to save for emergencies, what would you say? EB: Some money is better than no money. If $200 is all you can save, then that’s better than putting it on a credit card. $1,000 is a really good number, but you have to consider your circumstances. I know that I don’t have great health coverage, so I need a higher emergency fund. If you work in a volatile workplace, have a really old car, or live in a military family with an upcoming move, you might want to pad your emergency fund. Keep a pulse on what’s going on in your life. You have to be able to plan accordingly, month to month. ELYM: Any tips that helped you save more money for emergencies? EB: Paying myself first. When I do my January budget, I know exactly what to live on from what I earned in December. I make the decision before the first of the month to save money or pay off debt. That way, the money’s gone and I can’t touch it. I also keep my emergency fund in a different bank so it’s not as easy to access. Out of sight, out of mind really does make a difference. ELYM: That’s such great advice. Is there anything else you want to share? EB: Personal finance is personal. There’s no cookie cutter answer. People are looking for it all the time, but it doesn’t exist. ELYM: Can you talk about BurkeDoes.com and what it’s about? EB: BurkeDoes is a space for helping millennial women take care of their wellness, career, and finances. When we don’t take the time to pause or to even sit down and read a book, it’s like we’ve stopped viewing ourselves as whole people, and we can forget who we are. I help you remember. So, BurkeDoes is about helping women live intentionally, spend intentionally, and do Crossfit. Anyone who signs up at BurkeDoes.com before January 15th, 2017 will get access to a weekly kickstart and we’ll be sharing a budgeting series later in 2017. Emergencies WILL happen, and NOT on your timeline. Take your circumstances into account when determining how much you should build up in savings. Some money is better than no money, but $1,000 is a great first goal for your emergency fund. Pay yourself first. Make saving money a priority. 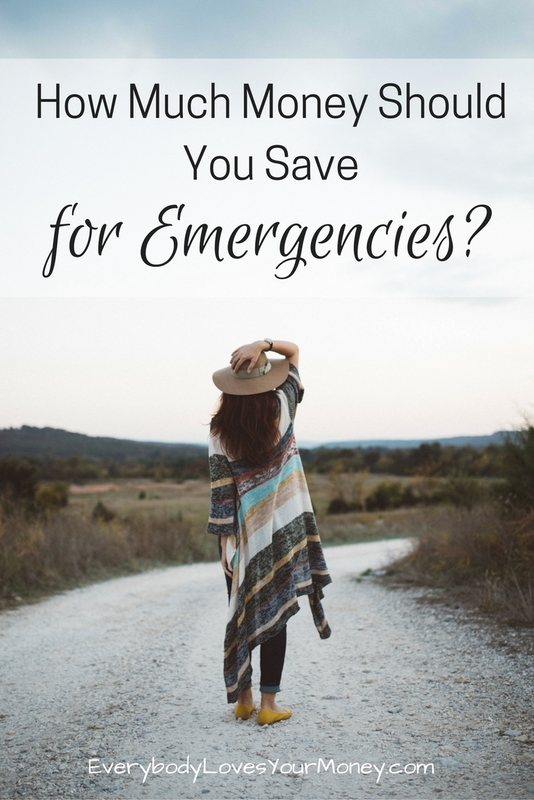 Do you think most people are saving too little for emergencies? Why or why not? Let us know in the comments below! Survey Sites That Pay: Worth It or a Waste of Time?